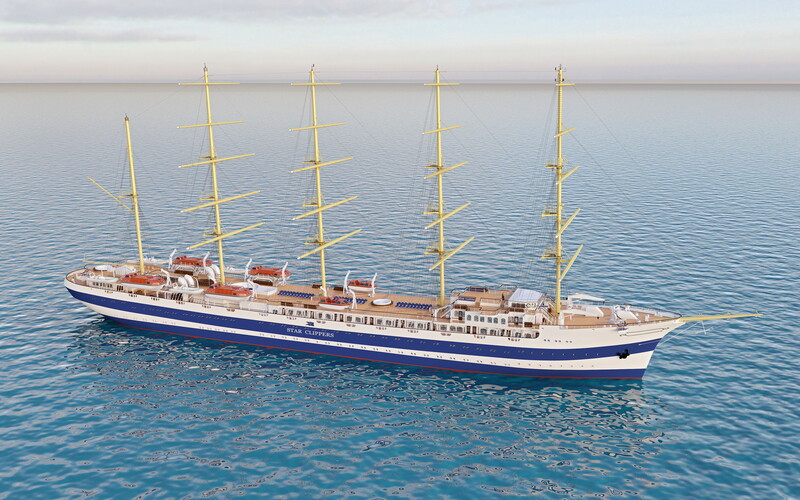 Star Clippers, the tall ship sailing specialist, has started building a fourth ship to add to their fleet of graceful square riggers and the first new build since the launch of “Royal Clipper” in July 2000. The new vessel will be the biggest and most ambitious to date, carrying 300 passengers, measuring 8,770 tons and powered by more than 6,350 sq m of sails. Technically a five masted, square-rigged barque, the new ship will be launched in the second half of 2017 and is yet to be named. The company’s flagship “Royal Clipper” is modelled on the legendary German sailing ship “Preussen”, but the new member of the fleet will be a near-replica of the even more dramatic “France II”, commissioned in 1911 and the largest square rigger ever built. Just as the original “France II” eclipsed “Preussen” more than a century ago as the world’s largest square rigger, Star Clippers’ new build will replace its sister, “Royal Clipper”, as the largest ship of its kind afloat today. As well as generous deck space, the new vessel will have a watersports platform in the stern, for use when the ship is at anchor. Three pools, with one that funnels sunlight through the ship’s atrium into the elegantly appointed dining room, will ensure those who like a swim are well catered for. 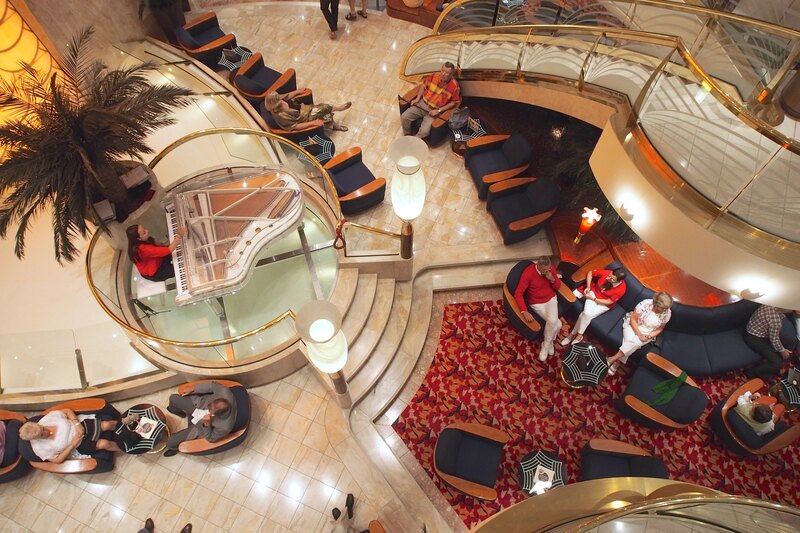 A restaurant in the light filled atrium will accommodate all passengers for open seating dining. Regular guests will be pleased to find the hallmarks of all Star Clippers ships, such as the cosy library, bowsprit net and the al fresco Tropical Bar, where evening entertainment takes place. Adding to the comfort levels for the 300 passengers are four luxurious owner’s suites, 34 suites with balconies plus a variety of cabin grades. The new ship, which is to be delivered in the second half of 2017, will have ecologically sound high-tech engines, but like its sisters, will rely on wind power and its sails wherever possible. She will initially sail the company’s most popular itineraries in the Mediterranean and the Caribbean. Operating three of the world’s largest and tallest sailing vessels, Star Clippers visits ports often untouched by larger cruise ships and offers passengers the activities, amenities and atmosphere of a private yacht. Passengers can enjoy the romance of sailing on board a true tall ship in a relaxed atmosphere, with high standards of service. Star Clippers, with headquarters in Monaco, was founded in 1989 by Swedish entrepreneur and classic boat connoisseur, Mikael Krafft, who initially operated two identical four masted barquentines, “Star Flyer”, which set sail in 1991 and her twin, “Star Clipper”, launched in 1992. The vessels were the first sailing clippers to be built since 1910 and heralded a renaissance of a golden age of sail. In 2000, he added a third vessel, “Royal Clipper”, a fully square rigged vessel with 42 sails. “Royal Clipper” holds the Guinness World Record as being the biggest five masted ship in the world. Each evening when the city lights up for Vivid Sydney, the world’s largest festival of light, music and ideas, the southern pylon of the Sydney Harbour Bridge will feature a spectacular projection of contemporary dance and Eora history, thanks to a partnership between Bangarra Dance Theatre and the University of Sydney. 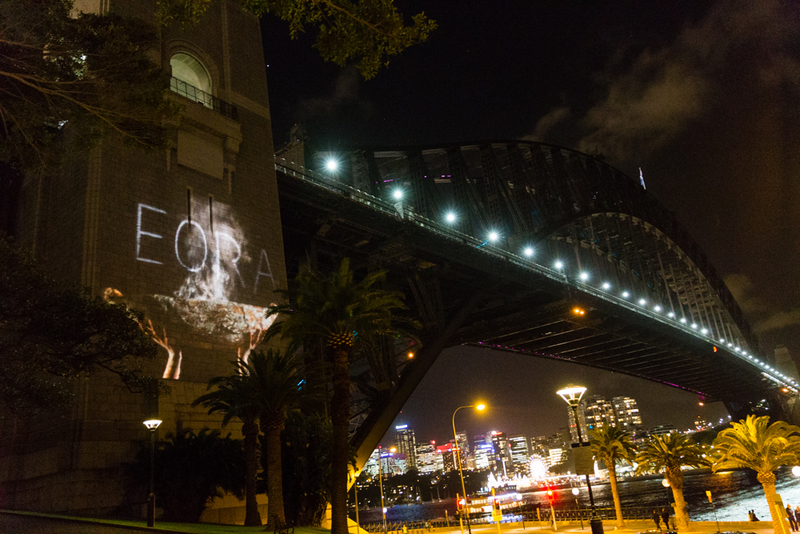 Visitors, along with Sydneysiders can discover Sydney’s Aboriginal history through EORA, a three minute video, visible nightly from 6pm to midnight for the duration of Vivid Sydney which runs until 8 June. Created by Bangarra’s Artistic Director Stephen Page and Head of Design Jacob Nash, EORA stars Bangarra dancers Kaine Sultan-Babij and Nicola Sabatino. EORA will also be projected on the University of Sydney’s famous quadrangle facade. Macular Degeneration is Australia’s leading cause of severe vision loss and blindness, but many still wrongly confuse symptoms of the disease as a normal sign of ageing. Affecting more than 1.15 million Australians over 50, it is set to increase to 1.7 million by 2030, without appropriate prevention and treatment measures. The most common symptoms include difficulty in reading or doing any other activity that requires fine vision, distortion where straight lines appear wavy or bent, distinguishing faces becomes a problem and dark patches or empty spaces appear in the centre of your vision. Although the condition may not make itself apparent until later in life, preventative measures can be started much earlier. Smoking damages the cells in your retina and more than doubles the risk of age related Macular Degeneration. To protect your retina from the impact of harmful UV rays, wear good quality sunglasses with 100% UVA protection. Eat well, as research suggests that diets rich in carotenoids found in leafy green vegetables, such as raw carrot, broccoli and raw spinach can reduce the risk of Macular Degeneration. Be self aware, between visits to your eye health professional, those over 50 should monitor for changes in vision by using an Amsler grid, a simple tool which tests for symptoms of Macular Degeneration. 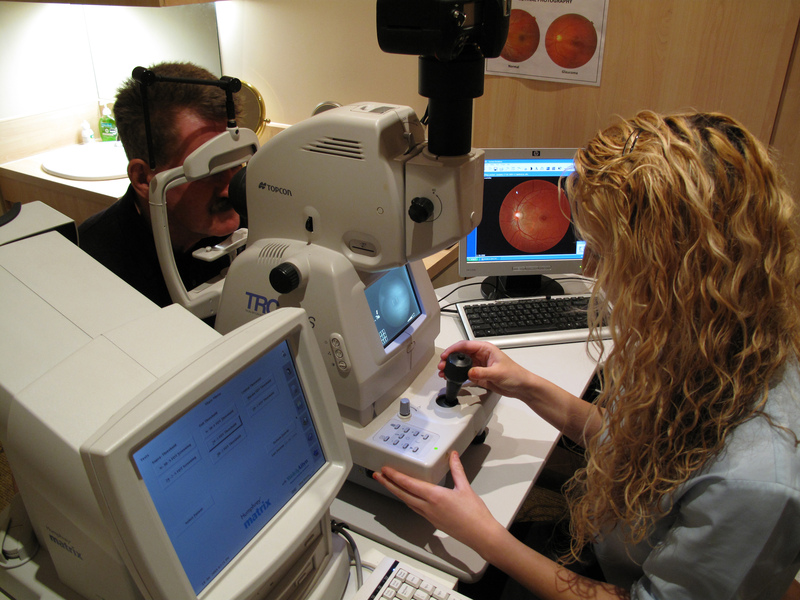 A chronic disease, Macular Degeneration, can be diagnosed through regular eye tests that examine the retina. Early detection is crucial as there are a great number of treatment options available to slow the progression of the disease. Macular Degeneration Week highlights the need for Australians to get sight smart and to consider having regular eye examinations. The Far North Queensland city of Cairns is often the first port of call for visitors to Australia, especially those from Asia and young Europeans on the “Back Packer Trail”. After cuddling a koala, many visitors have an indigenous tourism experience at the top of their Australian “must do” list. To enhance the educational and tourism experience for both overseas and local visitors, the 28 year old Cairns Indigenous tourism icon ‘Tjapukai-Where Australia Begins’ has been re-invented with a new vision and identity. 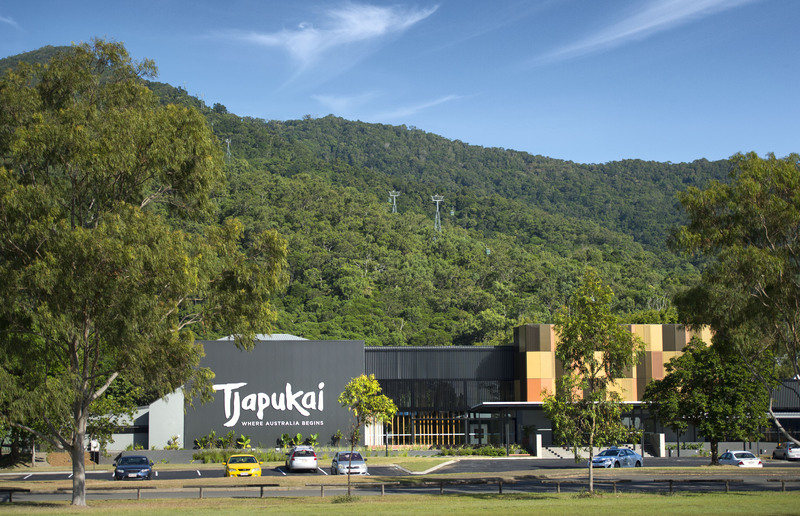 Following a $13 million upgrade, Tjapukai has been re-launched with new exterior and interior designs, new theatres and restaurants, plus a completely refreshed range of performances, tour options and packages. This significant upgrade reflects the venue’s aim to provide visitors with an informative and stimulating immersion into Indigenous Australia’s rich history and culture. Located to the north of Cairns, next to the Skyrail, Tjapukai is set in 25 acres of landscaped gardens with a backdrop of the Barron Gorge National Park rainforest, which has been brought into Tjapukai with vast windows providing views towards Red Peak, as well as a new rainforest installation in the arrival lobby and gallery. Visitors will be greeted by new exterior and interior designs that reflect the local Djabugay people’s beliefs that everything in society and life is divided between wet and dry. The ‘dry’ is represented by a dramatic contemporary new exterior design with red and orange panels backlit to provide an illusion of fire, which is an integral part of Aboriginal culture and tradition. A newly designed ‘Night Fire by Tjapukai’ programme has been launched to provide visitors with an entertaining and interactive night-time experience that includes dinner, performances, camp fire stories and culminates with the dramatic lighting of a 40 metre fireball. Dining options have been expanded with the opening of Flame Tree Restaurant & Bar, overlooking the serene Storywaters Lake. 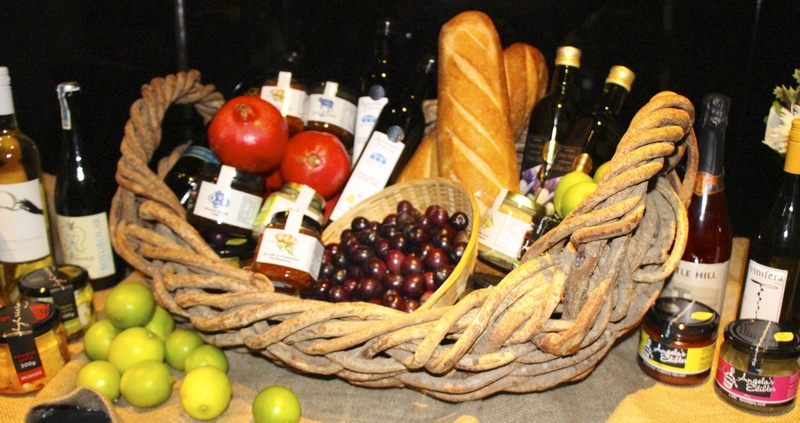 The restaurant and outdoor cafe offer a range of dishes, many inspired by Indigenous recipes and bush tucker produce. To showcase the talents of Tjapukai performers, two new theatres have been launched and new productions developed. 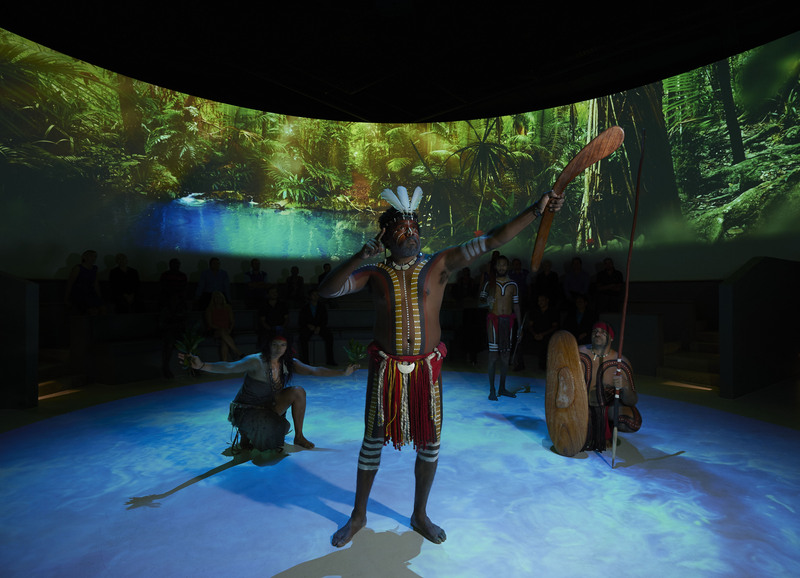 Bulurru Storywater provides an ‘in the round’ theatre experience using advanced visual effects for a new ‘Creation Story’ production, dramatising the Djabugay people’s Dreamtime story of the creation of the world. The Bundarra Cassowary Egg Theatre, designed in the shape of a cassowary egg, can seat up to 150 for dance, art and multi-media performances. A new History & Heroes Timeline Gallery has been created to explain and explore Australia’s diverse Indigenous history, covering the impact of the stolen generation as well as inspiring and motivating stories of Australia’s Indigenous Heroes, both past and present. The range of full-day and night packages has been expanded to provide new half-day options, including an Indigenous-guided bush foods journey, boomerang painting, weaving and jewellery making. 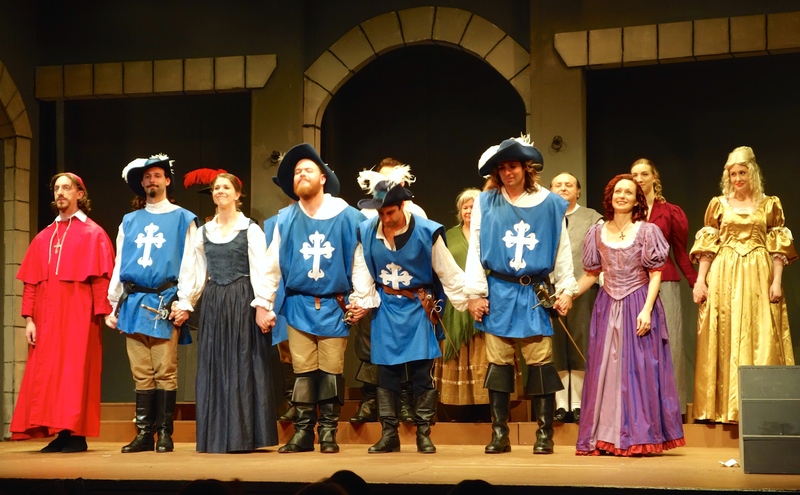 Alexander Dumas’ famous tale, “The Three Musketeers”, is the current production for Sydney’s Genesian Theatre in Kent Street. This adaptation by Ken Ludwig, commissioned by the Bristol Old Vic in England, is directed by Mark Banks with Roger Gimblett. Featuring sword fights galore and of course that famous saying “All for one and one for all”, this exciting and sometimes comedic production highlights the adventures of d’Artagnan and his three compatriots, Aramis, Porthos and Athos as they uphold the honour of King Louis XIII and his Queen, against the evil Cardinal Richelieu. Tim van Zuylen steals the show with his portrayal of King Louis XIII, especially when he is dressed in a gold satin suit, complete with shoulder length wig. This tale of heroism, treachery, close escapes and sword fighting whenever the opportunity arises, with many laughs in between, will appeal to the entire family. Playing until 27 June 2015, on Friday and Saturday nights at 8 p.m. with a Sunday matinee at 4.30 p.m. The Mudgee region in Central NSW is one of the State’s first established wine regions. Renowned for its food and wine, with more than forty family-run boutique wineries, as well as excellent art, music, nature and history experiences, Mudgee is just a 3.5 hour drive from Sydney. The highlight of the Festival will be a two day outdoor event in Pyrmont’s Pirrama Park, to be held on Saturday 16 and Sunday 17 May from 11am to 5pm. 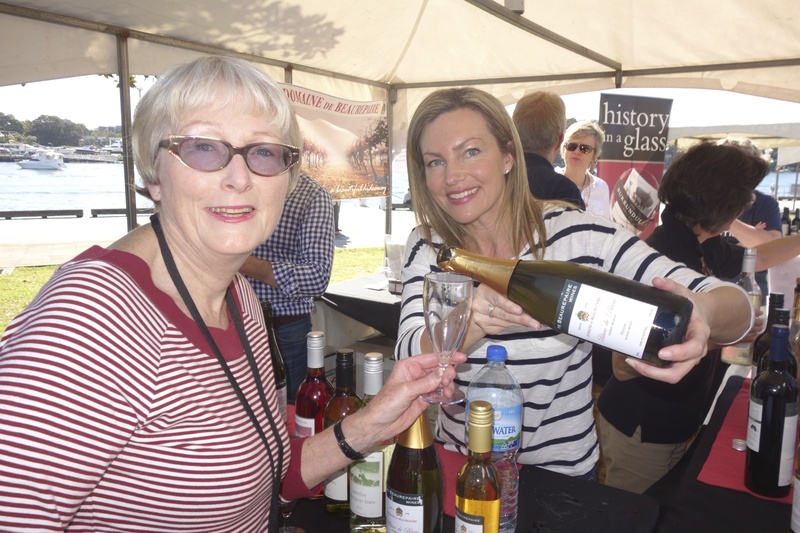 Mudgee winemakers will be on site offering over 120 of the area’s premier wines for tasting, along with a number of gourmet food producers from the region. Burrundulla Wines, Robert Stein Vineyard, Lowe Wines and Huntington Estate are just some of the Mudgee wineries that will be present. 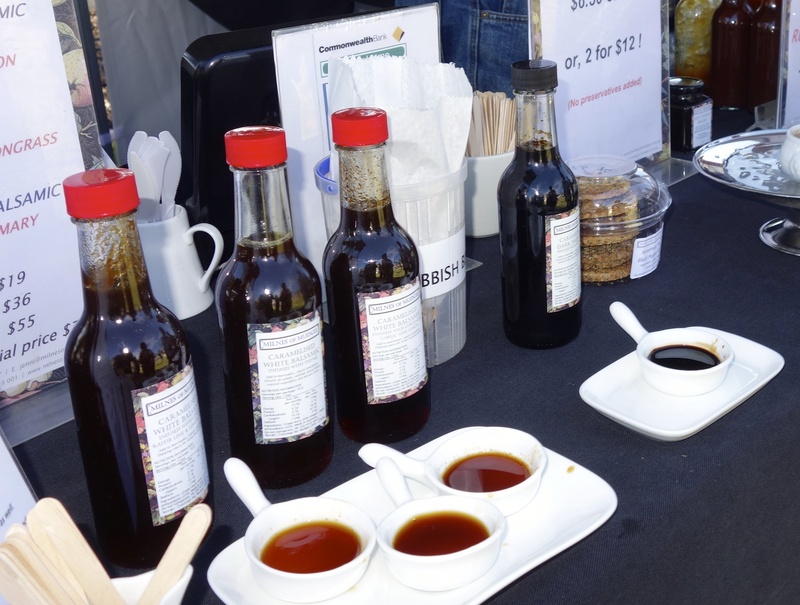 Approximately 100 stalls will be set up where visitors can meet winemakers, participate in tastings and sample a broad range of fine foods. This event is designed for the whole family, with live music, local artists, rides and entertainment for the kids. Paul West, host of “River Cottage Australia”, will cook up a storm with Mudgee produce when he joins the Festival in Pirrama Park on Sunday 17 May. Pirrama Park will also feature entries in The Ninth Annual Pyrmont Art Prize, curated by Lesley Dimmick, as well as artists from the Mudgee region collaborating on a Sculpture Garden mounted throughout the park, where all works on display are for sale. An exhibition of works by 250 primary school students will also be incorporated. The Festival also offers a selection of wine dinners and tastings at many Pyrmont eateries, including Blue Eye Dragon, Café Morso, Flying Fish and LuMi Bar & Dining, combining the best of their dining experiences with Mudgee wines to match across the ten days. Harbourside Shopping Centre has joined the Festival for the first time this year and will present a progressive degustation dining safari at four of their dining establishments, with proceeds going to Barnardos Australia, the Festival’s official Pyrmont based charity. Leaving behind her familiar Mediterranean home, MSC Orchestra recently visited Brisbane, Sydney, Melbourne and Adelaide, on her 33 night Grand Voyage itinerary, that began in Dubai and ended in Fremantle. This was the first time any MSC ship had sailed “down under”. Cairns was scheduled as the first Australian port where the partial circumnavigation of the Australian Coast was to start, but Mother Nature had other ideas, deciding to send a cyclone to the area that prevented shipping from entering the port, so Brisbane had the honor of being the first Australian port to welcome MSC Orchestra. Next it was Sydney’s turn to celebrate in true Aussie style with an evening beach party, held on deck around the pool during her overnight stay. Celebrations went on well into the night as many of the passengers who had embarked in Dubai, enjoyed dancing to the Australian bush musicians who came on board especially for the occasion. 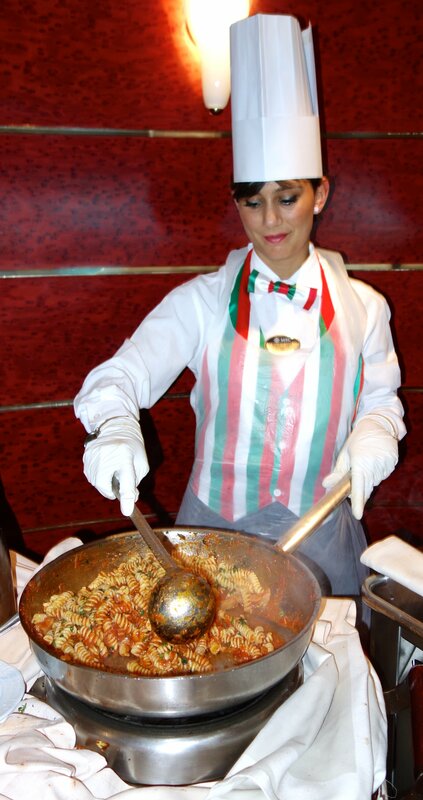 I boarded in Sydney and sailed to Fremantle, so I was able to live the Italian lifestyle that cruising with MSC offers. It did not take me long to unpack and settle into my balcony cabin before I was able to start experiencing first hand all the pleasures of sailing in this modern luxury cruise ship, which exuded Italian style and comfort. 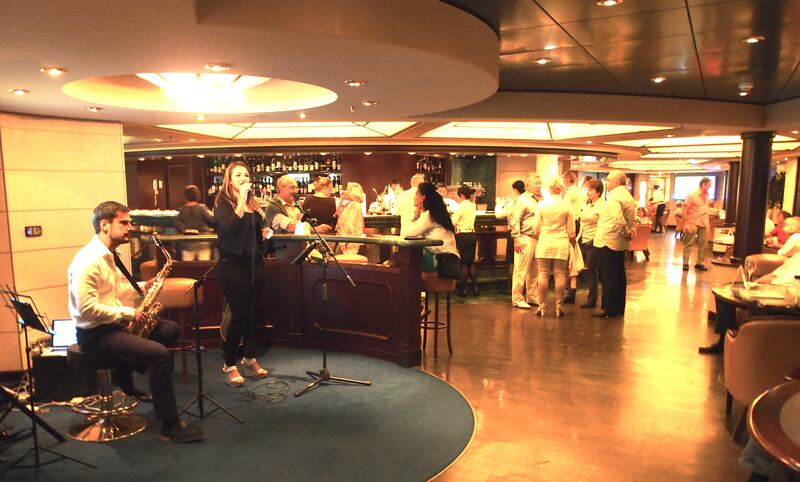 Launched on 14 May 2007, MSC Orchestra is the second of the ‘Musica-class’ cruise ships in MSC’s large fleet. Living up to her name and in tune with her musical theme, each of MSC Orchestra’s decks carries the name of a musical instrument such as Saxofono, Violino, Mandolino and Clarinetto. The large atrium was home to an elegant white grand piano which was played throughout the day, either by a solo pianist who performed a varied programme of modern music or a classical trio of two violinists and pianist. It was a real treat to sit and enjoy a coffee while listening to this relaxing music. Early evening the ship’s bars and lounges came alive with music of every variety, from a dance band in the jungle themed Savannah Bar, to the guitarist in the more intimate Amber Bar. La Cantinella Wine Bar with its lively saxofonist supplying the music was also a very popular pre dinner location. The music did not stop after dinner, when those who love to dance headed for The Shaker Lounge and for the night owls who did not want to go to bed, the Disco went on long into the night and the early hours. 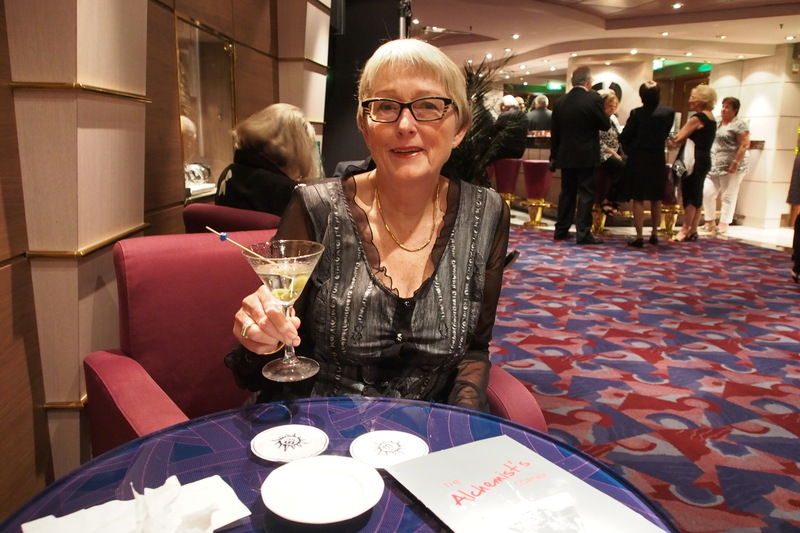 I spent a lot of my time on board in the Covent Garden Theatre, where two live performances were scheduled every evening, to cater for the two dining times. This comfortable double level theatre provided a fantastic view from every seat, much better than many shore side venues I have visited. The modern production shows were extremely professional and showcased a variety of entertainers. Language was not a problem as the MC made concurrent announcements in five languages. A highlight for me were the series of afternoon classical concerts, featuring the music of Tchaikovsky and Puccini, performed by the magnificent opera singers and musicians especially on board for this Grand Voyage. You are currently browsing the SANDRATBLOG.COM blog archives for May, 2015.